Your giving is an act of worship. It makes possible ministries and services that change lives and transform the world. 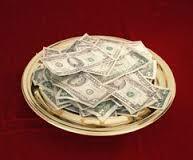 In addition to offerings given through the offering plate, you can give through our electronic giving page. To donate, click on the offering plate below. To donate to ongoing relief efforts through UMCOR, click on the link below.